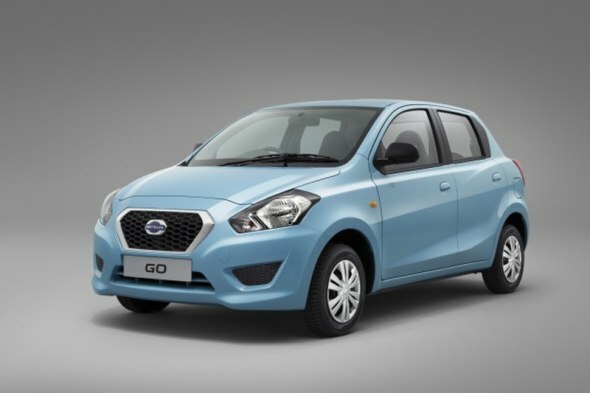 The Datsun Go is now on sale and the hatchback’s sharp pricing means that the car will rub shoulders with strong sellers such as the Maruti Alto K10, the WagonR and the Hyundai Eon. While the Datsun Go stands head and shoulders above its competition when it comes to the sheer space and engine displacement on offer, a spec-to-spec comparo throws more light on how the car compares to its competition’s other aspects. CarToq takes you through a quick round up of the Datsun Go vis-a-vis the Alto K10, WagonR and Eon. Design wise, the Datsun Go plays it safe. The styling is trendy yet conservative enough to appeal to a wide range of entry level car buyers, who do not favour outlandish designs. A jarring aspect of the design though is the 13 inch wheel size. The car (length 3,785 mm, breadth 1,635 mm, width 1485 mm and wheelbase 2,450 mm) is larger than its competition and this is likely to be a key selling point that Datsun salesmen won’t forget to emphasize on. Since it is based on the Nissan Micra’s V-Platform underpinnings, the Datsun Go offers comfortable room for five adults, a fact that won’t be lost on prospective buyers. 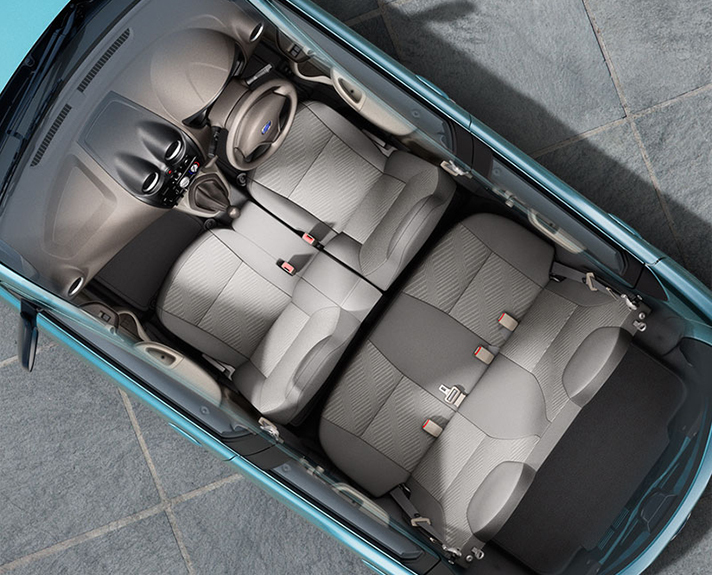 Also, Datsun has tweaked the interiors with features that maximize space utilization. While the WagonR offers a tall-boy design, the Datsun Go features a regular stance that is taller than the Maruti Alto K10 but shorter than the Hyundai Eon. The largest boot in its class with a capacity of 265 liters is another brownie point in favour of the Go. An area where the Go scores over the competition is in the engine department. Powered by a 1.2 liter-3 cylinder petrol engine, the Go’s motor is larger than the 800 cc and 1 liter petrol engines offered by the competition. The Go’s petrol engine outputs 67 Bhp-104 Nm, the largest output among its competitors. The larger displacement and torque means that the Go is faster than its competition while overtaking is decidedly safer too. With an ARAI certified fuel efficiency figure of 20.68 Kmpl, the Go is also quite fuel efficient as it manages to best the Alto K10 and the WagonR. In terms of features, the Go offers a set of unique features but has a few glaring omissions too. 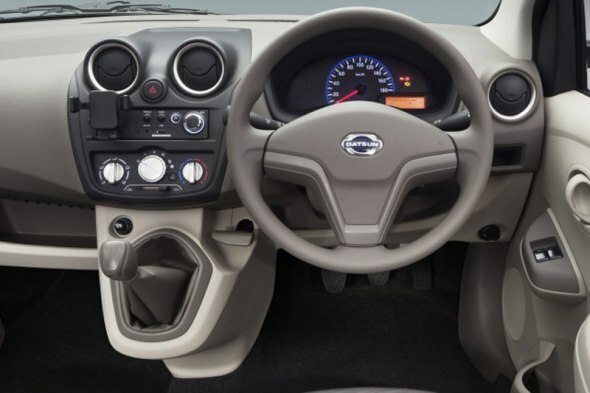 While the rectangular squabs between the front seats allow for a small adult/child to squeeze between the two, flat-tish bucket seats, it also allows for easy passenger exits in tight parking spots given the dashboard mounted gear and hand brake levers on the car. However, the thin seats aren’t the most comfortable units on offer. The lack of a lockable glove box and factory fitted stereo are two other bummers. Here’s a list of cost cutting bits on the Datsun Go that might not go down well with the prospective buyer. 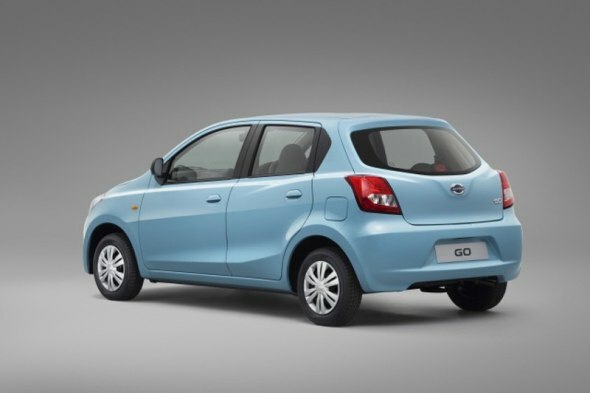 However, the Go also brings in a host of class leading features such as the gear shift indicator markings, a digital instrumentation display packed with information, speed sensitive wipers and automatic headlamps. Win some, lose some. 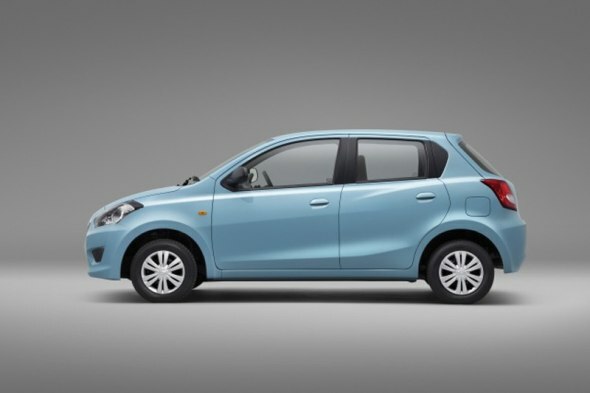 The top end T variant of the Datsun Go is priced at 3.7 lakh rupees, ex-showroom Delhi. Comparing the prices of the Go T (goattie?) to the prices of WagonR VXi, the Eon Sportz and the Alto K10 VXi, the Go is cheaper than the Eon (3.82 Lakhs) and the WagonR (4.04 Lakhs) but is costlier than the Alto K10 (3.28 lakh rupees). 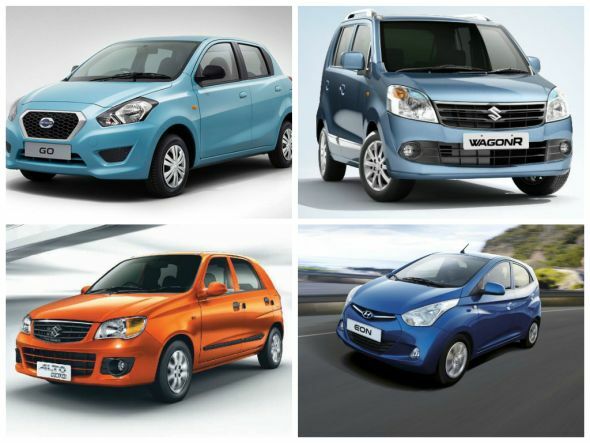 At these price levels, the WagonR and the Eon offer better fit and finish than the Go. In the features department though, the cars are evenly matched with the WagonR and Eon offering some features that aren’t present on the Go and vice versa. The Alto K10 falls quite short though and the Go outclasses the entry-level Maruti for the kit offered at the given price levels. Bottomline – The Go does offer big value, especially considering its spacious interiors, class leading unlimited kilometer warranty and interesting features. However, the smaller dealership footprint of Nissan could be a major stumbling block for the latest small car in town.